$1 tickets are sold daily are are only good for the next Friday drawing. Purchers MUST write on the back of the ticket their first and last names and telephone number. All tickets are discarded after the drawing is completed on Friday or the game is ended by the selection of the Queen of Hearts. A standard full deck of cards (52) plus a joker are used as the basis of the game. The 53 cards are shuffled face down and then are individually placed in envelopes (53) and sealed. The 53 sealed envelopes are placed in a locked glass case. One House Committee members or an officer and a helper will run the raffle each week. The first ticket is drawn on Friday at 8:00 pm. The drawn ticket will be discarded if it does not contain he first and last names and telephone number of the purchases. The ticket purchases, if present, will collect an envelope from the board. If the purchases is not present, a randomly selected person will choose the card. The game is over if the Queen of Hearts is selected. If the Queen of Hearts is not selected then a second ticket is drawn. If the Queen of Hearts is again not selected, then the game is over for that week. 60% of the current prize pool if the ticket purchases picks the Queen of Hearts. 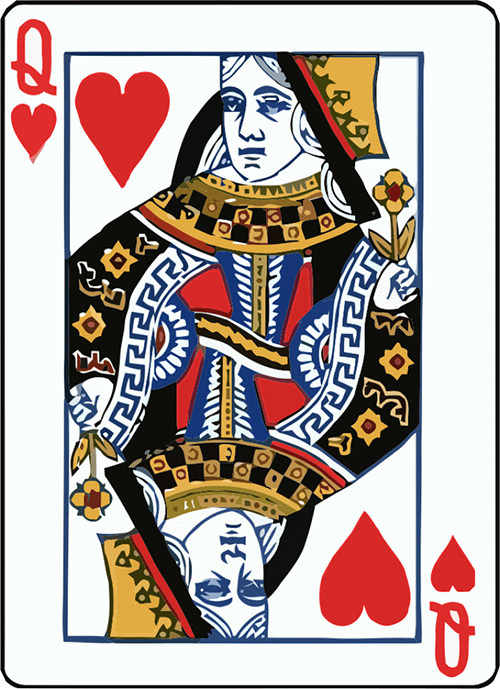 50% of the current prize pool if the Queen of Hearts is picked but the ticket purchases in not present. 10% of the current price pool if the Joker is picked. 5% of the current prize pool if any of the other queens is picked. $10 if any other card is picked. 70% of the remaining prize pool goes to the Lodge after the Queen of Hearts has been drawn and the game is over. 30% of the remaining prize pool goes to start the next game.